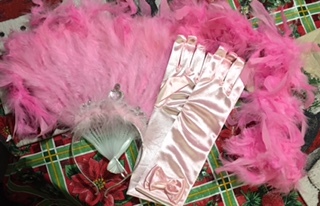 SmitCo Review by Angela McKinney | Great Dress up Kit! 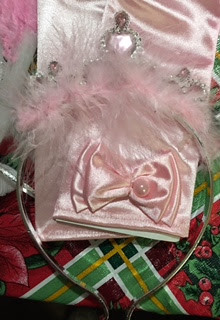 I received the cutest dress up set that I will give to my daughter for Christmas. I am very impressed with the details and how beautiful it is in person. 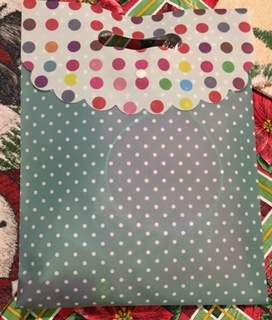 It came in a cute little bag pictured below. My daughter is 4 almost 5 and really loves to play pretend and dress up. This set is sure to set her imagination on fire and I am sure we will be having some fancy tea parties soon. The details on the headband are exquisite! The feathers make everything gorgeous. I really love this set and can't wait to gift it to my daughter.